Address: 649490 Republic Altay, Ust-Koksinsky r-n, s. Ust-Koksa, Zapovednaya st., 1. 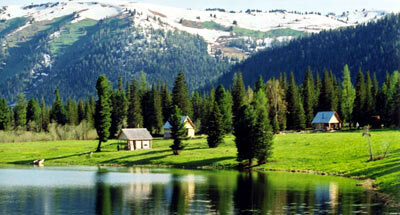 Zapovednik Katunsky, on the south of Gorny Altai Republic, was established in 1991. Its area is 150,1 thousand ha. 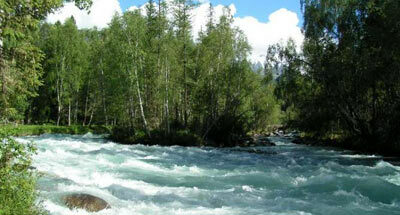 It is located in Southern Altai in the upper reaches of the Katun River. The topography features are middle mountains and high mountains with absolute elevations of up to 4000 m above the sea level. The relief is highly dissected. 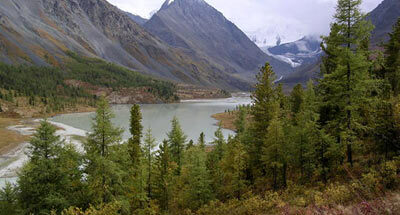 The area is covered with mountain-taiga dark coniferous Siberian pine-spruce-fir forests, sub-golets (bald mountain) larch-Siberian pine forests and open woodlands, mountain tundras, sub-alpine tall-herb meadows and dwarf birch woodlands, high-mountain alpine type sparse communities. Ranging through the mountain-taiga forests are the Caspian deer, musk deer, brown bear, and sable. High mountains are the habitat of the snow leopard, a species listed in the Red Data Book of the Russian Federation and IUCH. 95 avian species are recorded, including rare: Altai snow partridge, saker falcon, golden eagle, imperial eagle, white-tailed eagle.